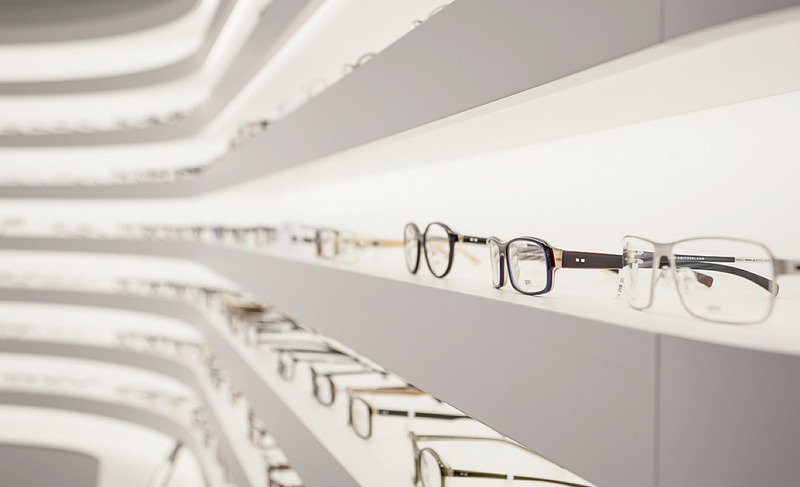 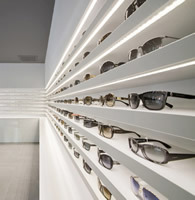 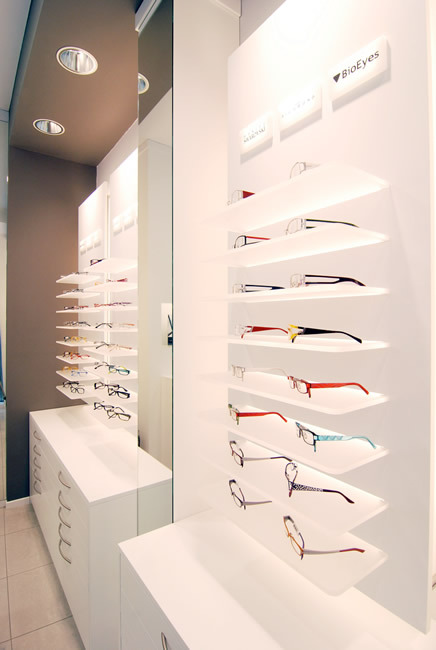 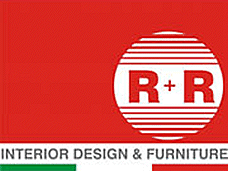 R+R designs and builds with the "turnkey" formula furnishings for OPTICIAN STORES. 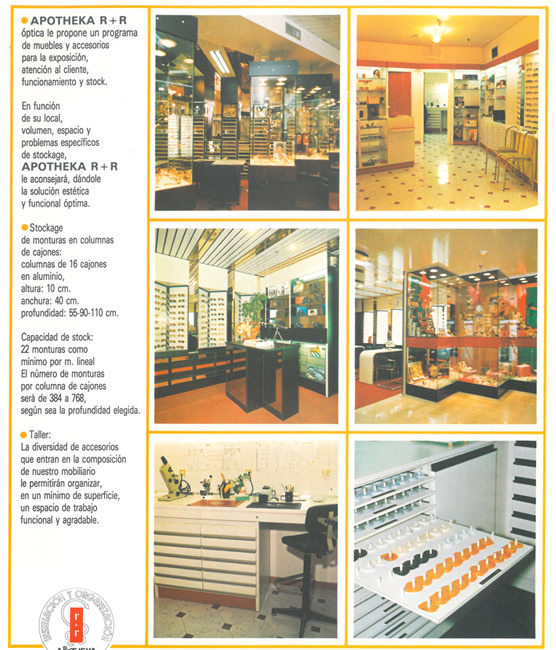 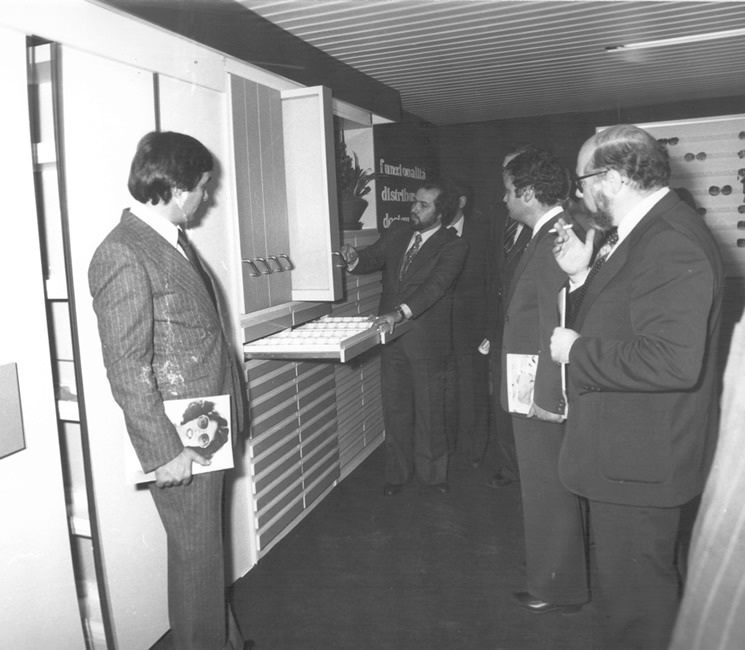 In 1970, on the occasion of the fair in Rome the "Opto Rome" R + R presented for the first time a system of drawers to accommodate glasses with special "couvettes" acting as displays and at the same time storage drawers. 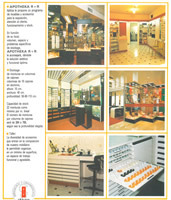 We propose solutions aimed at strengthening maximum exposure with appealing formulas, practical and functional. The design is taken care of at every stage and is targeted at practical furnishings aimed at strengthening the product sales.